The perfect alternate to a gift of flowers – a living succulent garden displayed in a rustic wooden planter. Succulents may vary slightly due to seasonal availability. 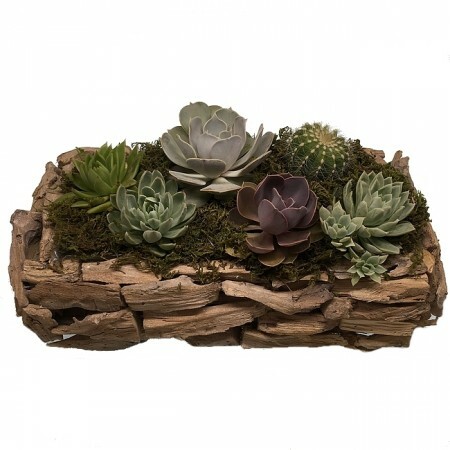 Succulents like lots of sunshine, so they’re great for areas where other plants might need regular watering. Succulents also grow well in in pots. A colourful pot combined with a succulent is an easy way to brighten up a balcony, courtyard or deck. They can even be grown indoors, provided they’re in a well-lit area, like a window sill.